Johnson and Starley boilers can cost between £700 and £1,200 depending on the size required. You can get up to 3 free quotes from local, reputable engineers using the Boiler Guide service. 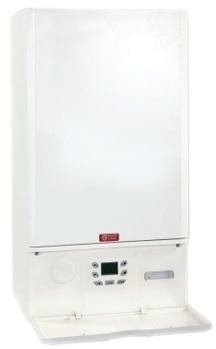 The QuanTec 30c Combi Gas Boiler from Johnson & Starley is a standard sized, wall mounted boiler. With the plumbing being reduced to not be seen. It is an easy to install boiler with it size of 780x423x321mm and weight of 39 kg. This boiler is an B rated boiler with an output of 30kW, reduced CO emissions and is 100% recyclable. The boiler comes with an integral passive flue gas heat recovery as well DHW (Domestic Hot Water) pre-heating function and isothermic and full heat condense stainless steel heat exchangers with ‘cool door’ technology. -Savings of 26% in hot water demand. The boiler also comes with a standard 5 years warranty and is also available in 24kW and 28kW.